We offer a large selection of hotel guest services directories, binders and guest room products to help you promote your in room services. Increase your room service orders with our breakfast door hangers and keep the hallways neat and clean with tray removal cards. 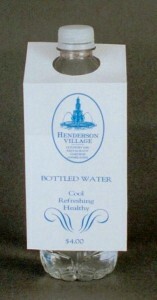 Save water and money with our hotel water conservation hangers and cards. All our hotel supplies and products are made in the USA, personalized for your hotel property and available with custom options and design.